It’s beginning to look a lot like Christ-mas. 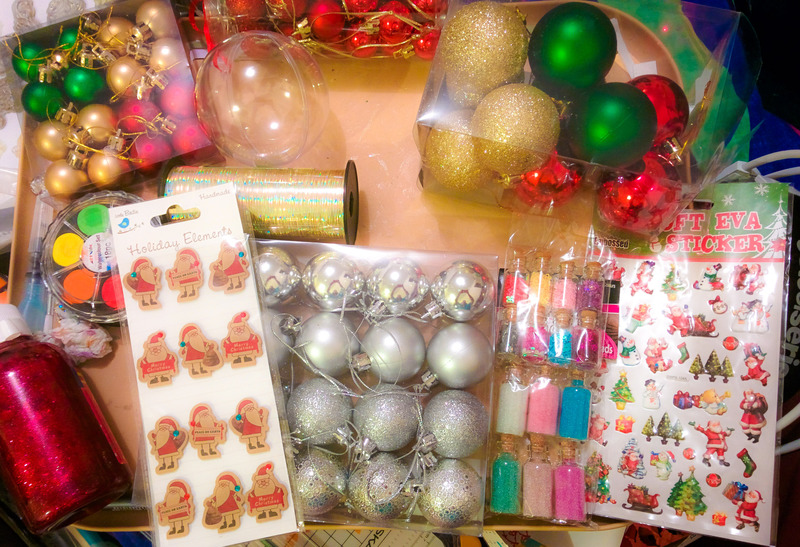 I went shopping with the intention to get some nice baubles to decorate, but I saw the teeny bobbles and had to buy a bunch. They’ll probably be quicker and easier to decorate, anyway. I found a couple that were clear that are designed to hold pictures, so I can put my cats photos in them. I was going to get some glass ones, but they were already broken, and I doubt they’d have survived the bus trip home with me if they weren’t. 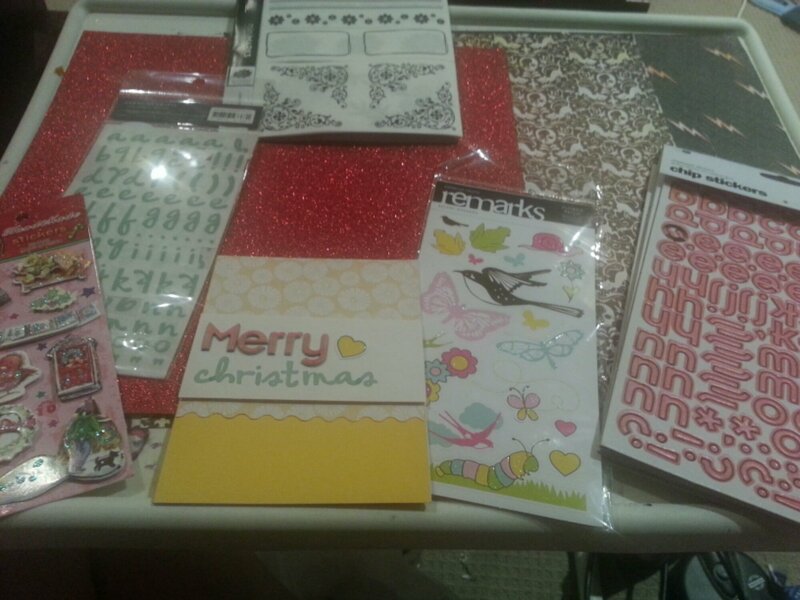 I also picked up cute Santa stickers, some curling ribbon and wrapping paper. In the newsagents, I found some gorgeous magenta glitter glue that I have had my eye on, as well as a cheap travel watercolour set. I don’t usually travel with or without my paints, but sometimes I need something small without much setup when all my work areas are as messy as they are. I really need to take some time off crafting to clean before the hoarders TV crew turn up. Lastly, I got some small bottles, with coloured sand and sequins, and enough double sided adhesive to get me through to winter. So, if you don’t hear from me, I’ll be under the pile of beads and baubles. 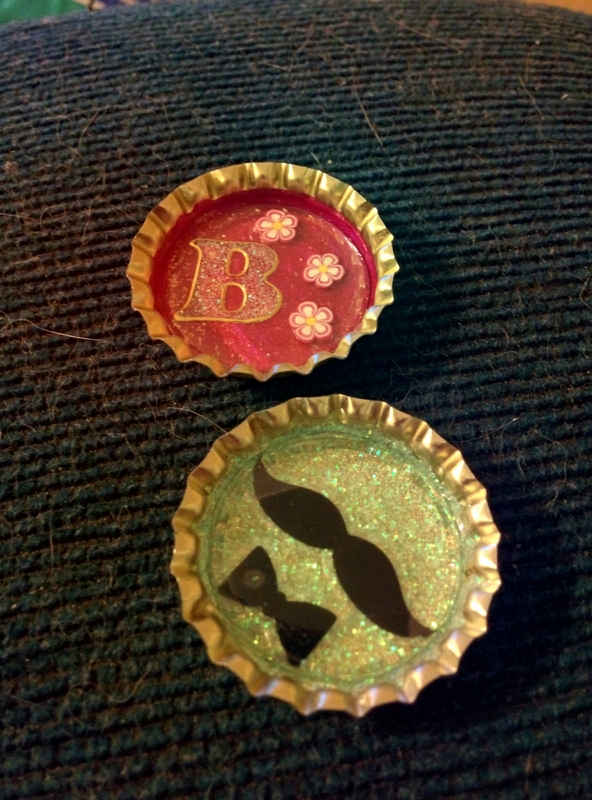 Today I received epoxy dome stickers, one inch, so they fit into bottle caps, and some crochet lace for a sewing project. You can’t really see the stickers in the photo, but they’re nice. They are flexible, but give the illusion of resin. I’m having trouble getting resin, as I can’t find any nearby, and I need to pay extra to get it shipped from anywhere, as it is classed as dangerous. I tried using glossy accents to give some extra stick, just in case the base paint peeled off, and took everything with it. One thing I had trouble with was air pockets around stickers, (or single pieces of glitter) and the epoxy sticker couldn’t bend into the space. To rectify this, I will try putting a layer of glossy accents and set the dome into it. This should fill those gaps and not leave a foggy glow around the shapes. Investigation is needed on the matter. Today I tried English paper piecing. I saw a few pictures on Pinterest on how to do it, so I hand stitched a few hexagons together. It’s not as hard as it looks, but I’m not sure I’ll have the patience to make a quilt big enough for our bed. I stopped at a coaster sized patch of seven squares. 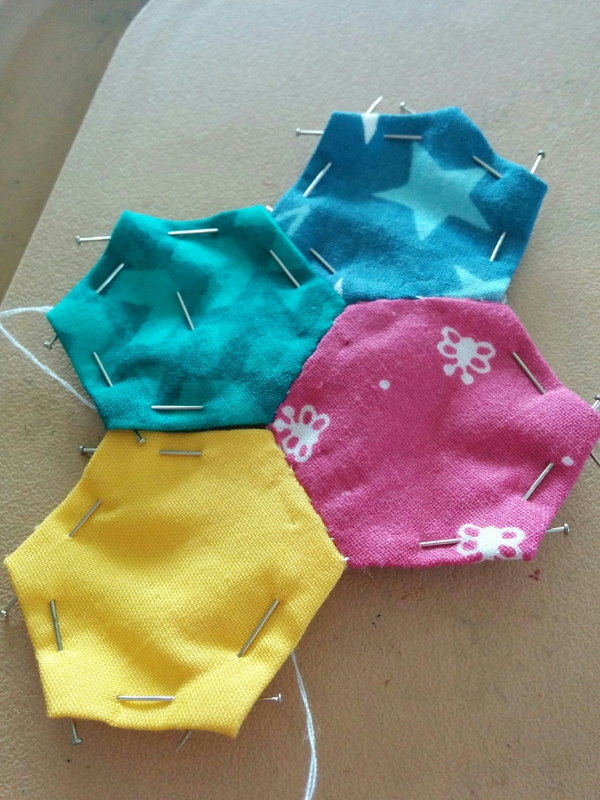 This is when I sorted the hexagons, I had cut out, and decided that I need to manage the colours, otherwise I’d run out of yellows and have a bunch of pinks left at the end. I might have to pick up a few colours next pay day. I had to go out today, leaving my sewing at home. I went to the dentist and I browsed the shops with my parents. My mum bought me two crafting magazines, on the proviso that I make something for her with them. One had a lovely Japanese style stamp set and the other had a multiple box scoring board. The lines are very confusing, all overlapping and shapes inbetween, so I’ll have to decode it before I can use it properly. 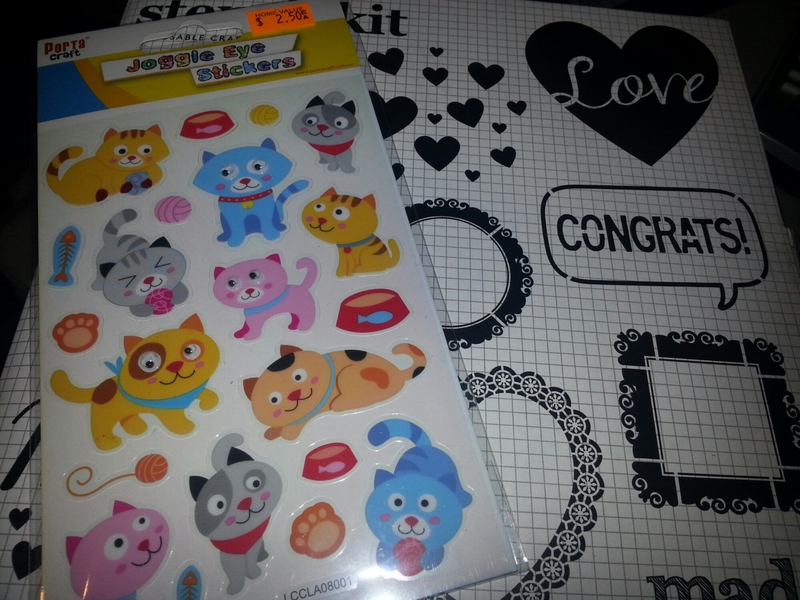 Other than this, I picked up some cute cat stickers (cat butts in one of them so funny), and some cheap geometric rubber stamps. This week, I’m going to attempt to get at the craft room. Over the weekend I piled all of the craft supplies that had accumulated around the computer and TV, back into the room. I love my craft room, even piled high with mess and unfinished projects with nowhere to sit, walking in there relaxes me, and I often find excuses to go in there. It’s like my refuge or sanctuary. It’s mine and buzzing full of creativity. Like seeing your bed after a long day, nothing matters in this place. But I really should clean it. Also a stencil kit I got from Typo, a paper/novelty item shop. I haven’t done a lot with stencils, so I’m keen to try some gesso and paint techniques. They had Christmas and palm tree themed one, but I thought the love one was more versatile throughout the year, also I love love hearts. 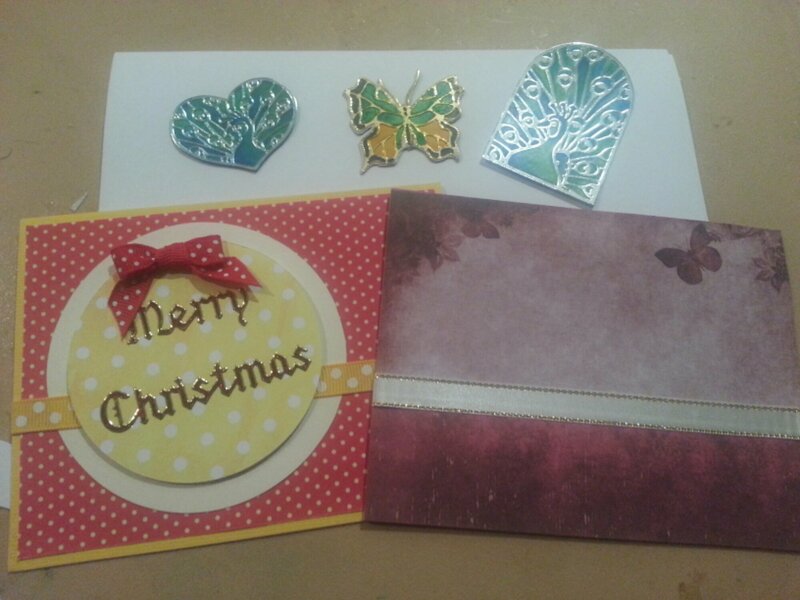 I also bought some green glitter nail polish to put on cards. I think it gives a nicer coverage than glitter glue itself, and I can use it for other crafts or even put it on my nails! I wasn’t allowed glitter before I moved out, so I’m going crazy with it now. My cats are often sparkly by accident. I have been crafting more than I’ve been posting, mainly because I want to write a tutorial, so I need to cover all bases and make a few different types before I write it up. I’ll try and get that done soon so I can show you guys everything. Mini shopping spree. Took more time travelling than shopping, but I wanted sushi from a particular place. So I got another sticker alphabet. These seem to have formed a collection in my stash, because I never had the right one for the job, and they are so useful. This one is very small, and is nice and bold. The good thing is the smaller the letters, the more you get on a sheet for the same price :P.
I originally set out to buy a cleaning brush for my new sewing machine, because it didn’t come with one. I couldn’t find any, but I bought a box to put all my needles, bobbins and anything that goes with the machine. In the remnants bin, I found a metre of denim that would be great for bags or cat toys. It was only on the way home that I remembered that I’d need a different needle in my machine to use it. By the time I get to washing the fabric, I’ll probably have bought some. While thinking up designs for a bag, a couple have drawstrings, so when I saw the eyelet setter, I thought I might as well try it out. No harm of having it on hand, as it’s a useful tool. I got a small leaf punch, which is the perfect size and shape to pair with the paper roses that I make sometimes. 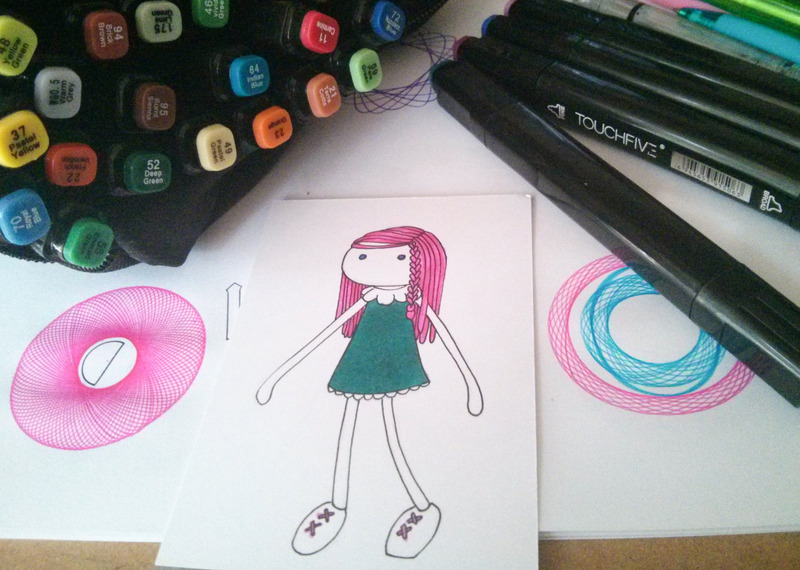 Lastly, I got a vanishing fabric marker. While I was watching YouTube videos about sewing, I was shocked that they were using pen on the light coloured fabrics. It wasn’t until today, in the shop, that I read the pen disappears after 48 hours or so. I wonder if the ink ever disappears while in the pen. Maybe that’s why it says to keep out of the heat. I was trialling watercolour resist techniques tonight. This one above uses those metallic or shiny plastic sticker sheets that seem to be popular in scrapbooking and card making. This didn’t work too well with other stickers, so I hope you know which ones I mean. 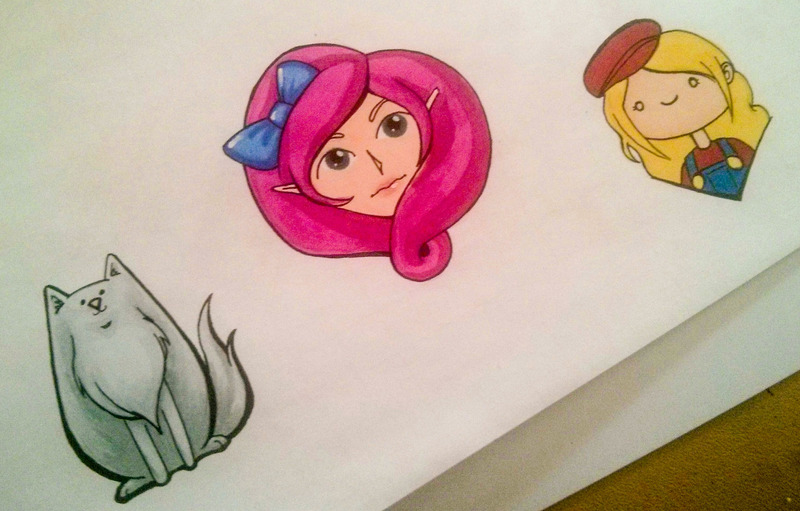 Apply stickers, and make sure they’re stuck down well- I used my bone folder to make sure, to cardstock. I’m not sure how this would work with watercolour paper, as it might absorb underneath. Then apply the watercolours, I tried to be fairly liberal to really test this and get a nice contrast against the paper. Wait for the paint to dry before peeling up stickers with a pointy tool. 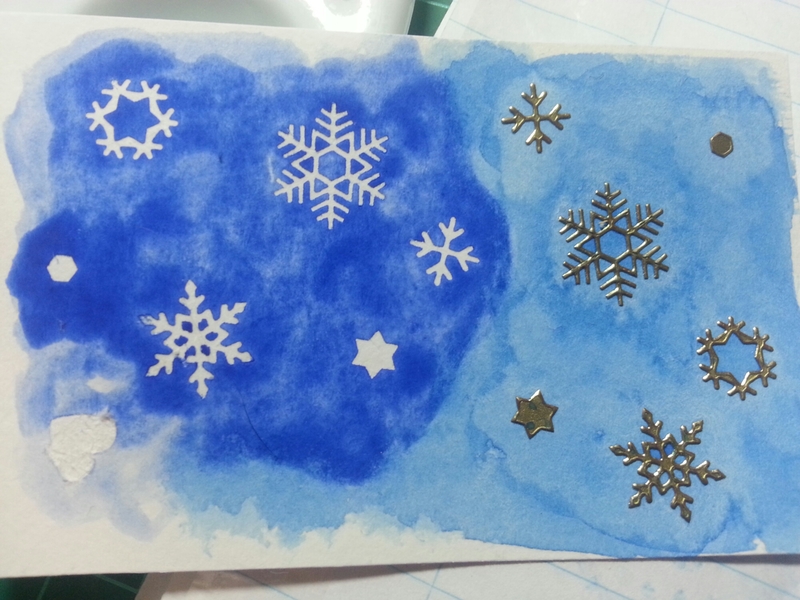 I’d like to test this in layers, putting a wash of colour under, but not sure how much layers the card stock can handle or if the stickers will affect the paint. I also did a bit of heat emboss resist. This definitely didn’t work on my watercolour paper. Not sure if it was because I use low quality paper in the testing, but the embossing soaked into the paper and wasn’t shiny and resisty. It worked well on card stock and the lines were nice and clean. I also made some glimmer mist. Considering I’ve never seen glimmer mist in my life, I assume I did ok. I mixed iridescent medium and water in a mist bottle (finally found a place that sells them individually.) I’ll find out if it worked tomorrow. 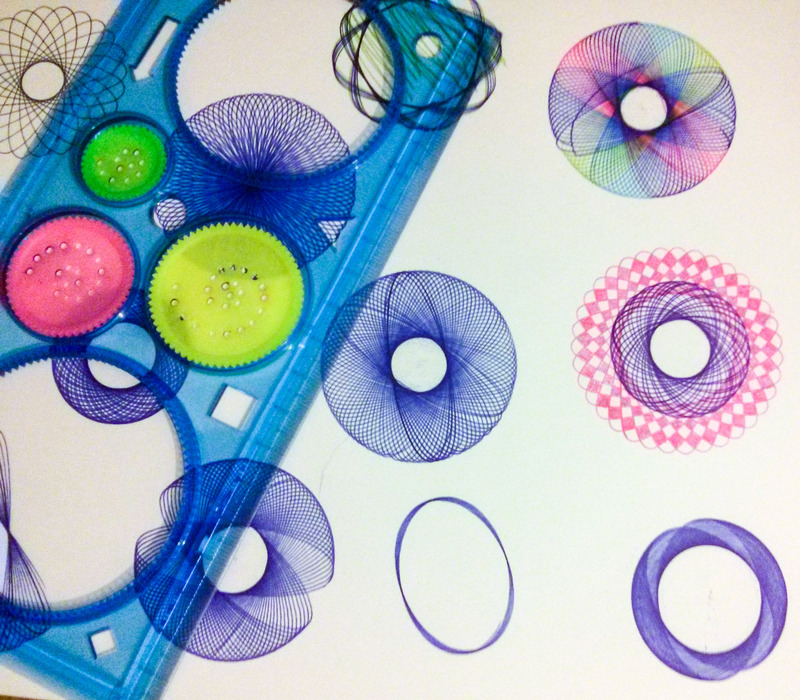 Drying times are only useful when you have more things to create. This time I picked up a value pack which included a small stack of 30x30cm card, rub on alphabet and accents, some nice spring time stickers and a pink chip board alphabet. If you haven’t noticed yet, I try not to spend a lot on each item and most of the craft stuff I use is either from a cheap shop, or on special. 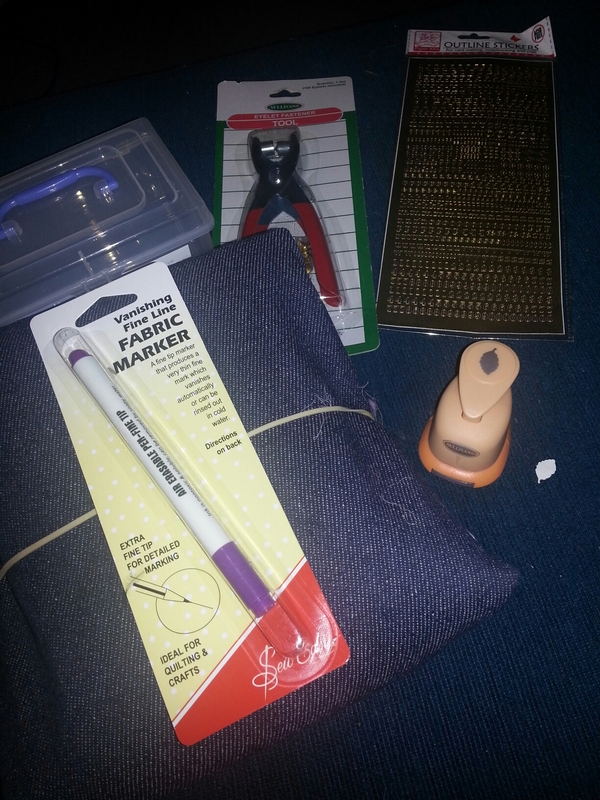 If I do spend more, I look at reusable supplies, such as stamps or punches. With that in mind, I haven’t brought all these brandname stickers with one use before. I find I am liking them a lot, but luckily I am not one for buying fashionable paper and whatnot while its in stock, so it tends to be cheaper. Also, since I don’t know any other papercrafters, I’m sure the card recipient wont care if the colour “pool party” is “in” this year or not. Not much to report. Stayed up late last night and felt dreadful today.